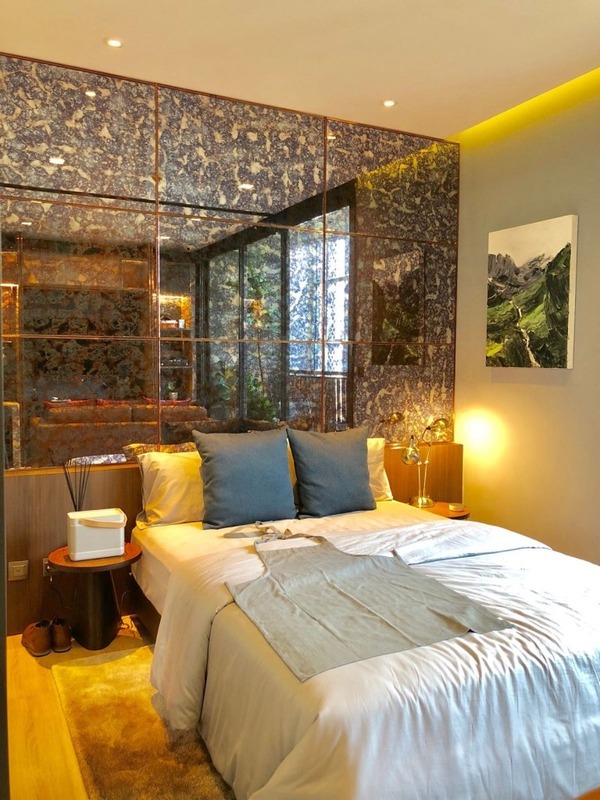 Kawa HAUS is the latest of Sansiri’s HAUS brand. The biggest draw of Kawa HAUS is the fact that it is located in T77 Sansiri Town. 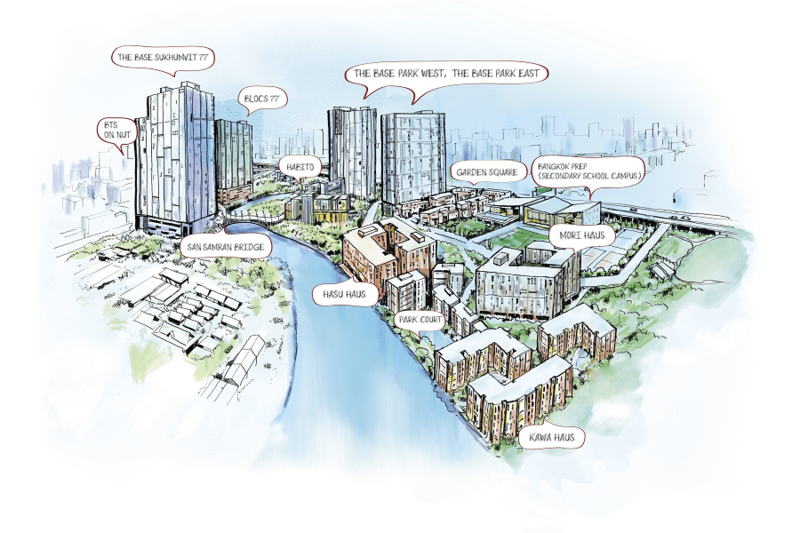 T77 is a master-planned township developed by Sansiri. Within T77, you have the Habito Community Mall and Bangkok Prep International School. Once you step into T77, you will see lush greenery, well-planned roads, and serene surroundings. Such living environment within Bangkok is very rare. 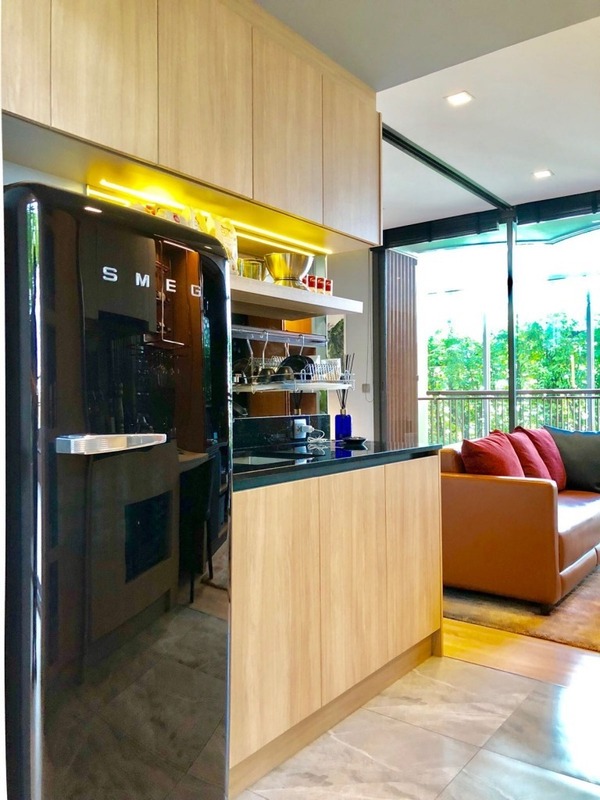 Thus, this has become a highly desirable place of living for the local Thais and you do find an increasingly large expat community in there as well. 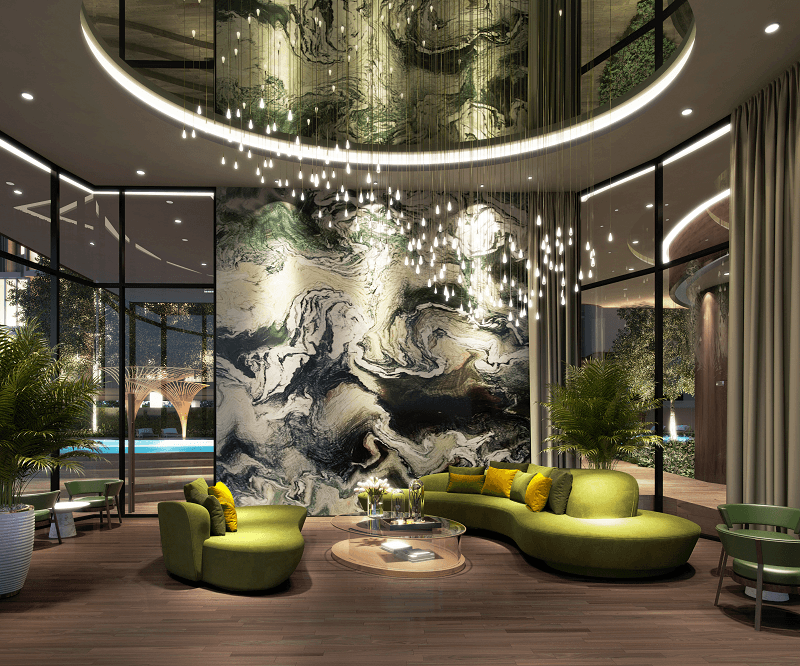 Click here to read more about T77 Sansiri Town. 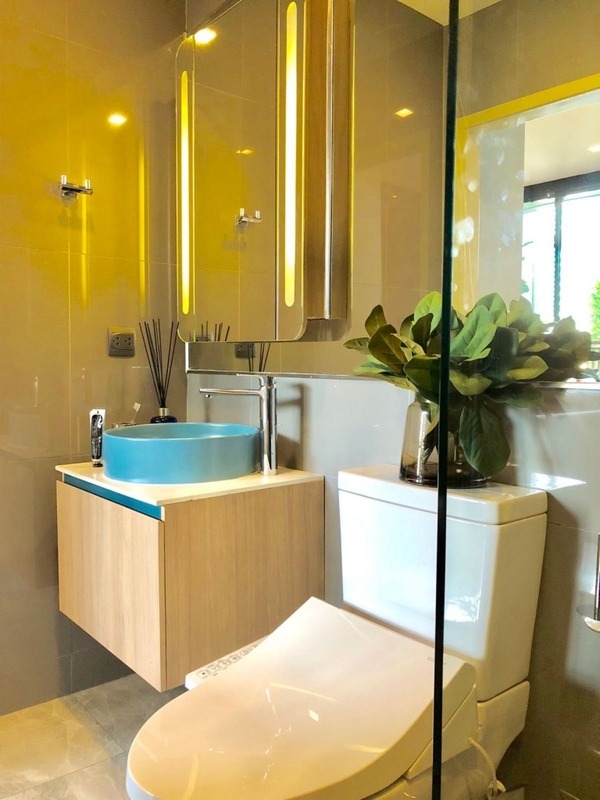 The commute is convenient since the Ram Inthra-At Narong Expressway and the On Nut BTS station are just minutes away. T77 will have a shuttle bus every 20 minutes from Habito Mall to BTS On Nut. 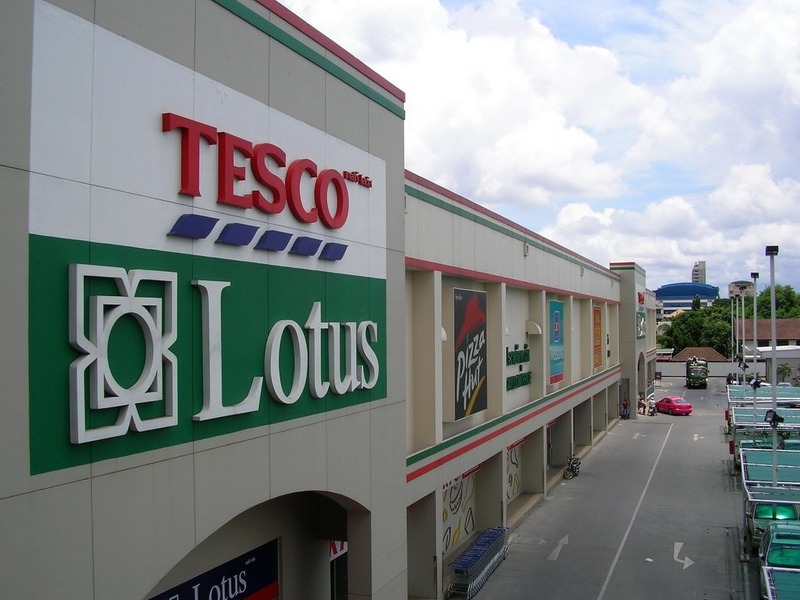 There are also Big C and Tesco Lotus on the way to BTS On Nut. 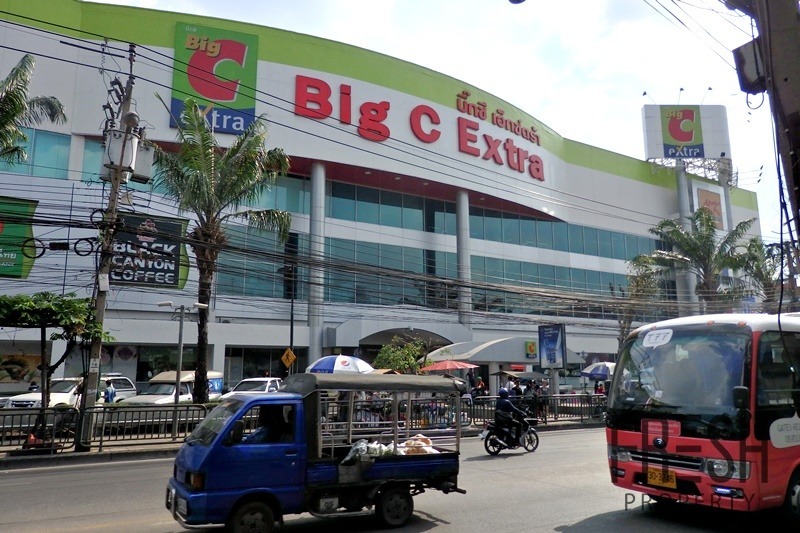 The On Nut market is also opposite Big C.
Century Movie Plaza located right next to On Nut BTS station will consist of a shopping mall and hotel. 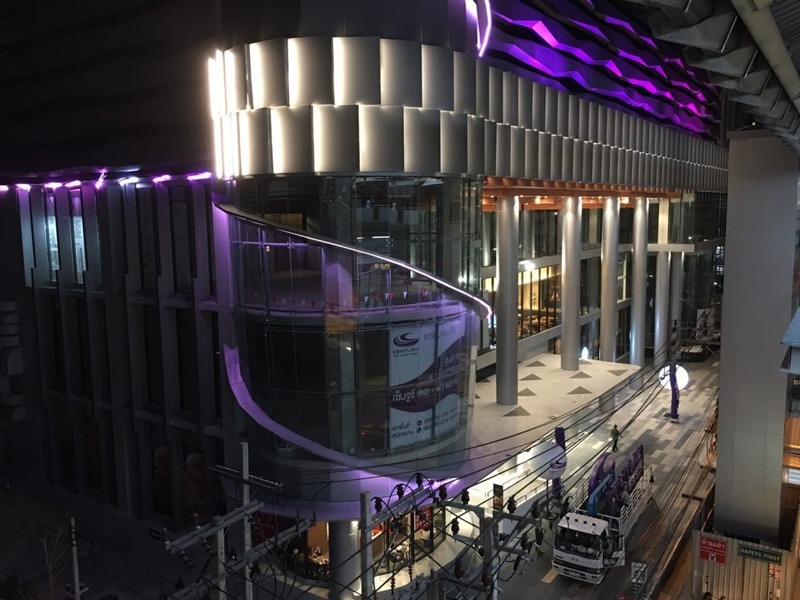 The mall will apparently offer local residents a cinema, shops, and eateries. It is still under construction. 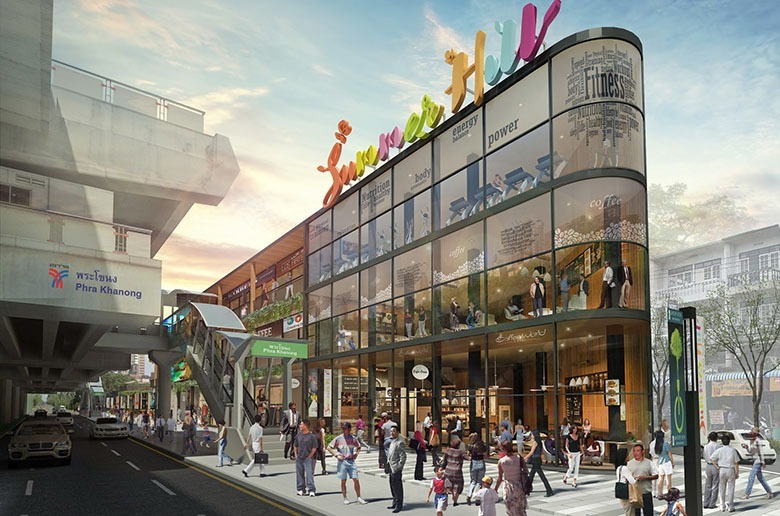 Summer Hill is an upcoming new mall located right next to Phra Khanong BTS. 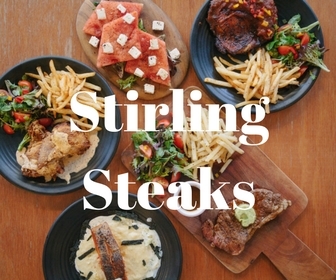 It mainly provides brand new and well-known restaurants, cafe’ & dessert shops, convenience store, fitness, educational facilities, wellness shops, specialty store, and services. If that is not enough, from On Nut, you are, 3 BTS stops to Thonglor and 5 BTS stops to Asoke. Terminal 21, Gateway Ekamai and EmQuatier are all well within your reach. Waterfront Relaxing Area. The waterfront relaxation space stretches 150m and features seating and sunbathing areas. 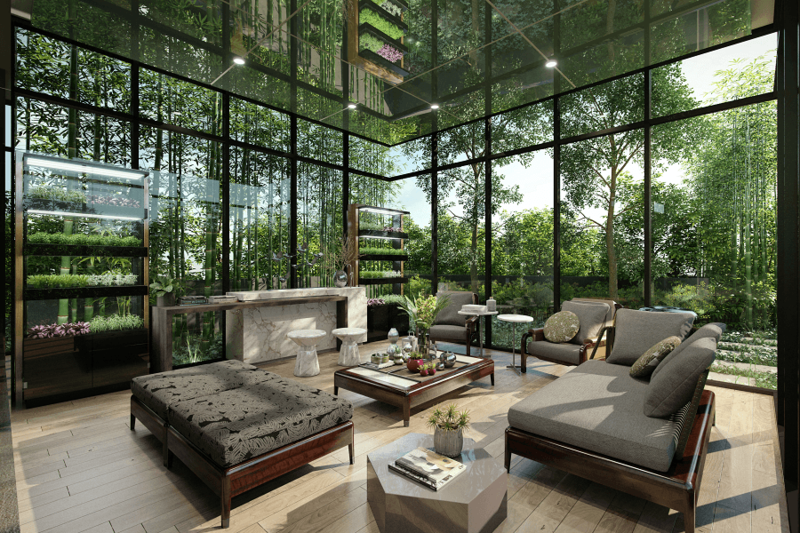 It is a refreshing space that allows you to forget about the chaotic world outside. Kawa Bridge and Bamboo Cabana. 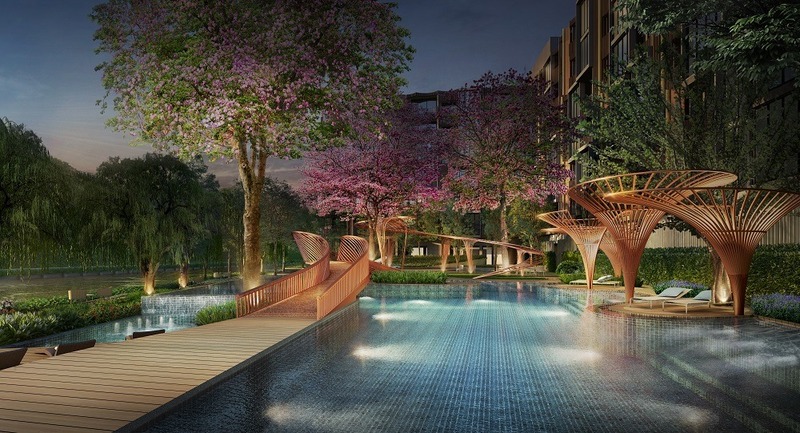 Inspired by the body of water nearby, the Kawa Bridge twists and turn. Like natural springs, hot and cold jacuzzi pools help you feel relaxed and freshened up. The kid’s pool is specially designed with the children in mind. You can also lounge and unwind underneath the Bamboo Cabanas, where the wireless mobile charging is available. 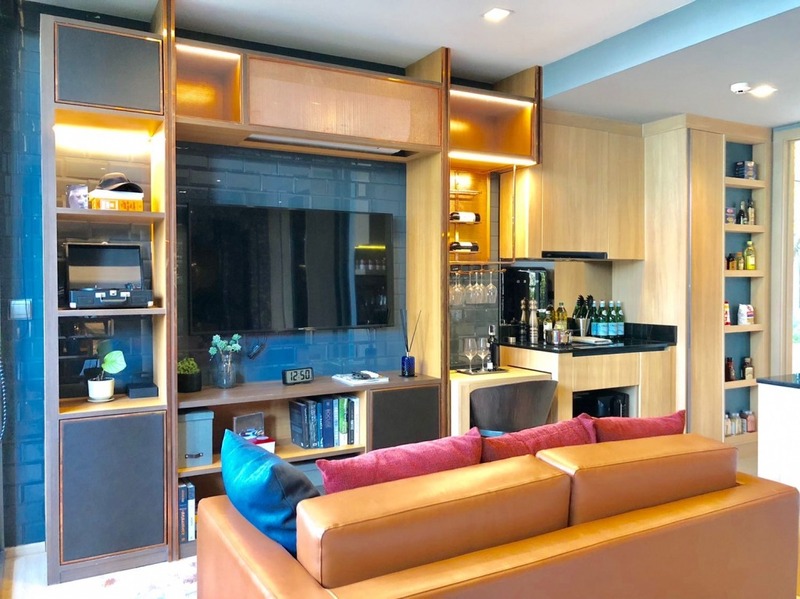 Panoramic Double Volume Lounge. The elegance of the lobby lounge owes much to its double volume ceiling. It is perfectly decked out with droplet-like furniture pieces and soothing hues of nature. Co-Creation Space. 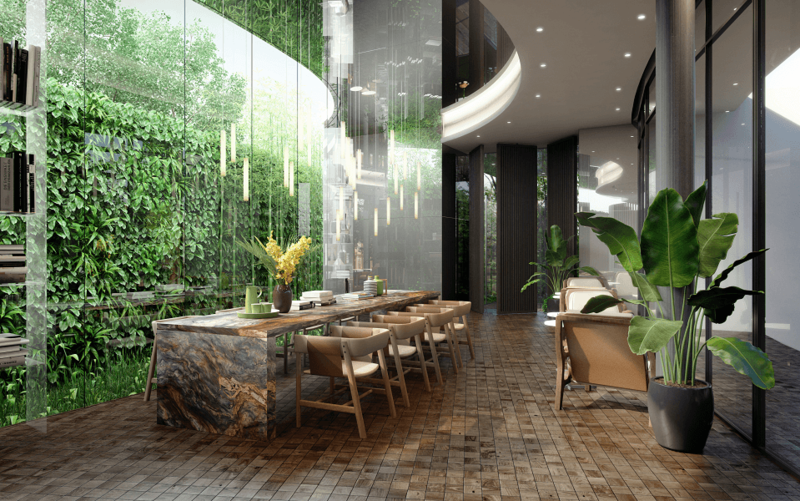 Nestled in the midst of a luxuriant bamboo garden is the Co-Creation Space where creativity flows. 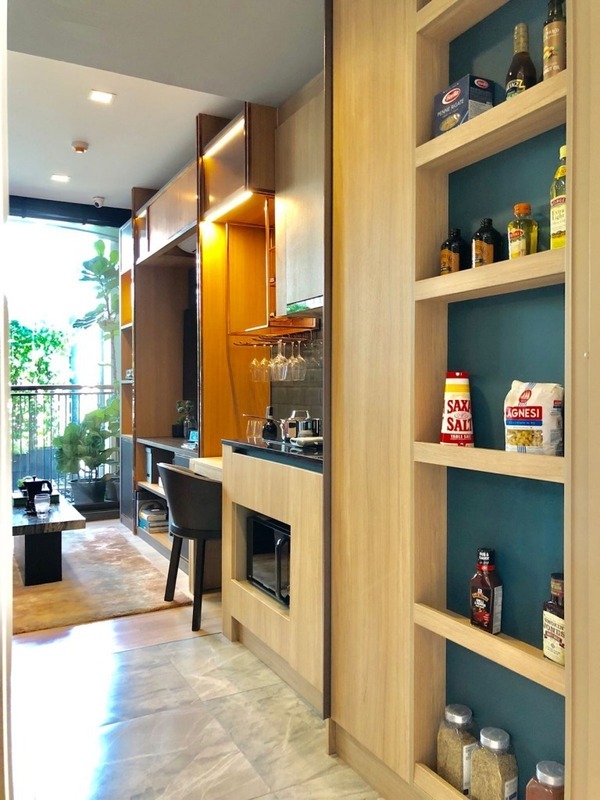 Co-Pantry. The co-pantry is next to the co-creation space. It enables you to create new dishes under the farm-to-table concept by making the most of daily fresh organic produce from the farmshelves, which are equipped with the latest shelf-gardening technology. 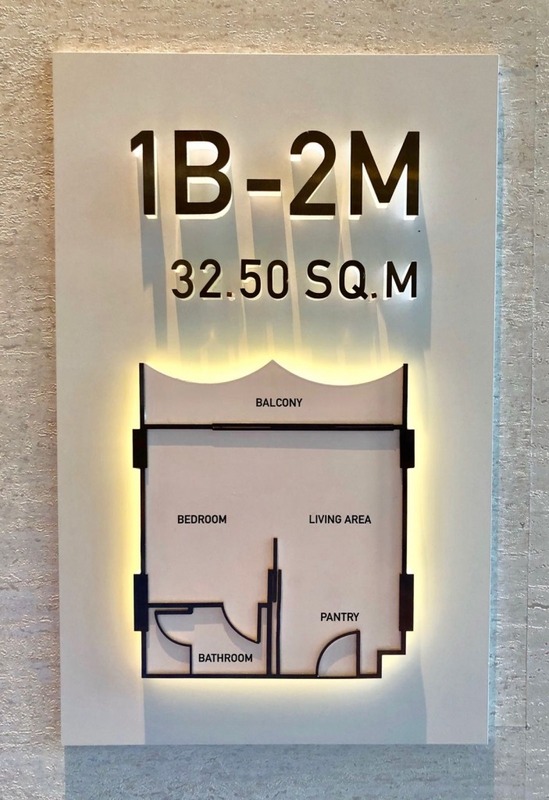 Sansiri has got a sales gallery with mock-up of 1 bedroom and 2 bedrooms. For international investors, the units will come fully furnished. Once the property is completed, you can simply bring your luggage and stay! Here are some photos that were taken. Is Kawa Haus A Good Investment? The urbanization of Bangkok is expanding towards the east and On Nut is benefitting from this growth. 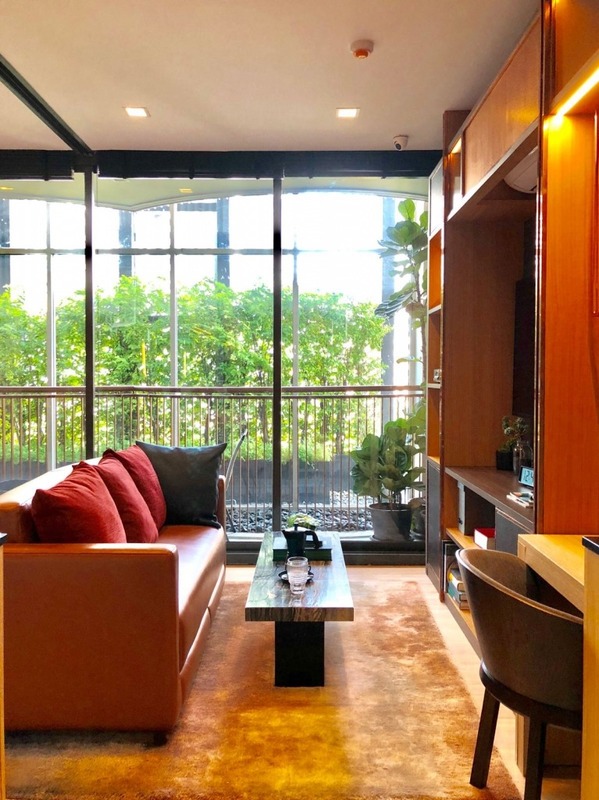 As the city gets overtly congested and prices in Thonglor-Ekamai continues to rise, people are seeking alternatives that are not too far away. As a rare gated and guarded community, T77 has already developed a reputation as one of the best place to live. At the moment, about 50% of the resident population are local Thais, with the rest a mixture of expatriates from various countries. How Much Can I Rent It For? 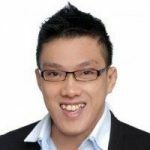 Nobody will be able to guarantee what the rental market will be like in 3 years time. 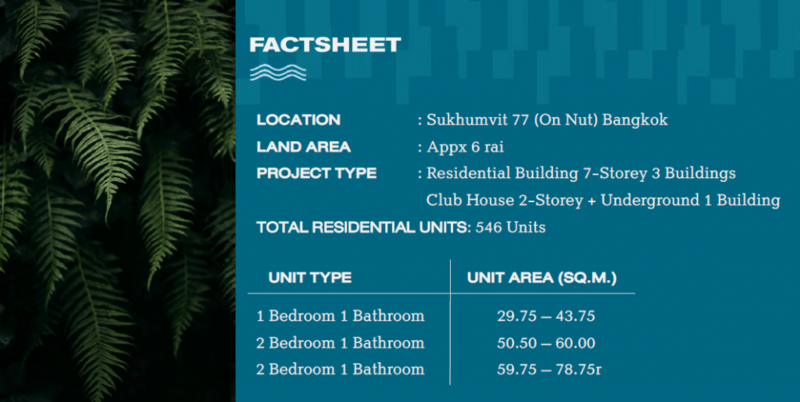 But for discussion sake, Hasu HAUS is currently commanding an average of THB600- THB650 / per square meter. 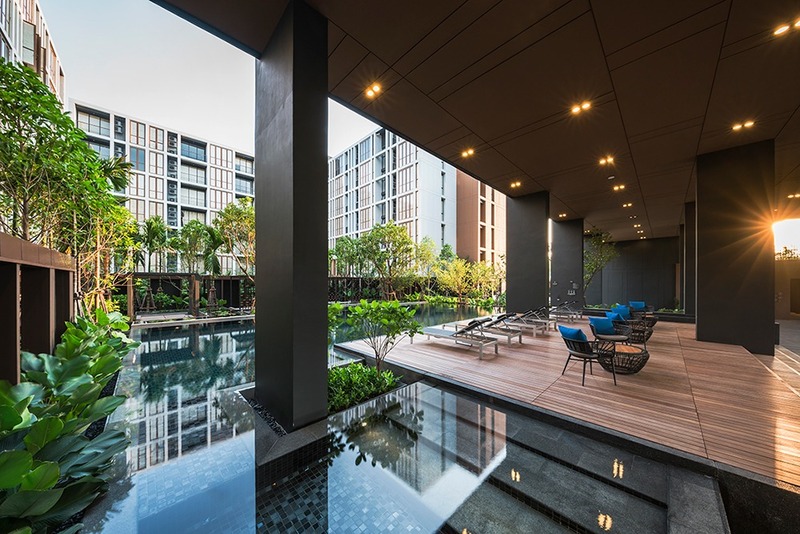 Over at T77, the existing developments have witnessed a steady growth in the rental rate of 6%-13% annually over the years. 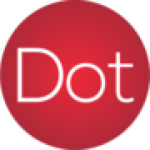 I feel that this growth trend will continue as there are no comparables in the vicinity. All things being equal, people do tend to prefer renting newer properties. 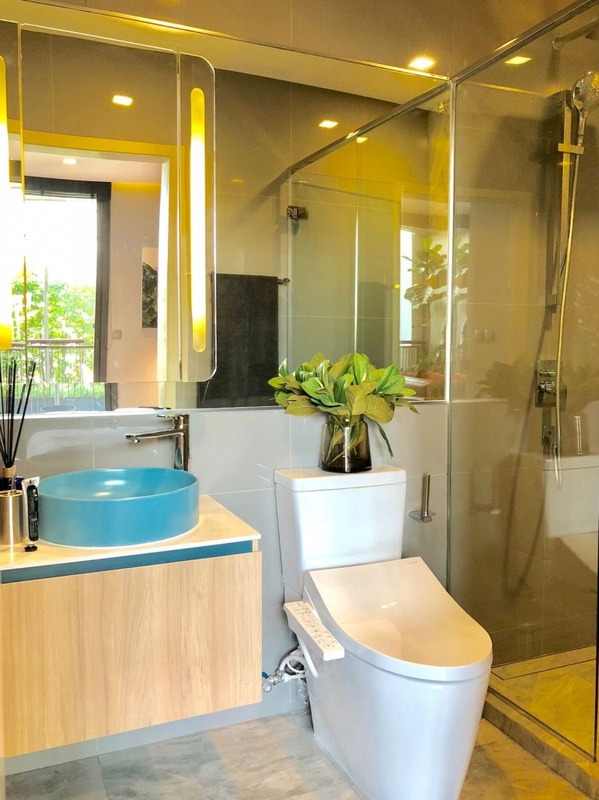 At an attractive entry price of 3.59MB, you gain access to one of the nicest living environment in Bangkok city fringe. This property should see no lack of rental demand. Or it can also be an ideal holiday home for yourself. I would not expect spectacular capital appreciation on this property but it is in my opinion that the value will hold and achieve moderate growth in the years to come. Sales of Kawa HAUS has started. For the latest price list, units availability, floor plans, and brochures, please visit Kawa HAUS official developer sales site.